Join artist, printmaker and Royal Academician Norman Ackroyd on a two-day Etching Masterclass in our historic Print Room. Celebrated artist, printmaker and Royal Academician Norman Ackroyd will be hosting a two-day Masterclass in our historic Print Room in October 2018. On Day One, Ackroyd will demonstrate the sugar-lift aquatint process and how he uses it in his practise. 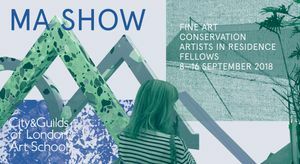 Day Two will be a workshop for a smaller number of participants, where you will work with the artist to create your own sugar-lift etchings. Professor Norman Ackroyd CBE RA ARCA, is renowned for his haunting prints and watercolours of landscapes and seascapes from around the British Isles. His work has been exhibited throughout the world, with numerous UK and international solo exhibitions and inclusion in a host of worldwide collections. The sugar-lift aquatint etching process that Ackroyd will be demonstrating, was first created and employed by Paul Sandby in the 18th century and advanced by Picasso, with his technician Roger Lacourière, in the 1930s. Ackroyd has developed a slightly different approach to the technique, based on the Lacourière principles and will show how he uses the process to create his sublime imagery. The Art School’s Print Room is the venue for this Etching Masterclass. 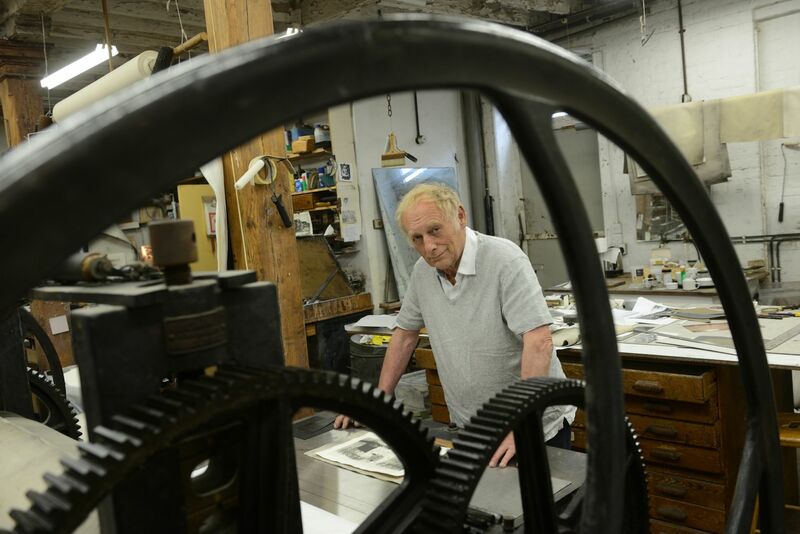 Norman Ackroyd was instrumental in re-establishing the Print Room as a thriving centre for teaching and practice after being invited in 1995 to consider its potential for the future. Today, it is one of a few places teaching the full range of traditional intaglio techniques, keeping the bridge to the Old Masters open. Our Print Room tutors, led by Jason Hicklin, are all practising artists. Art School students have daily access to the Print Room and are encouraged to gain confidence and experience in the same techniques, problems and solutions as those employed by Rembrandt, Goya and Picasso.